We are pleased to announce that the Board of Regents has unanimously elected Dr. Jenifer K. Ward as the 11th president of Luther College. Dr. Ward presently serves as provost and dean of the college for Centenary College of Louisiana in Shreveport, Louisiana. The election of Dr. Ward by the Board of Regents followed a unanimous recommendation from the presidential search committee. Please see the full announcement for more information. Luther College President Paula J. Carlson announced the appointment of Lisa M. Scott as vice president for equity, inclusion and student success. Scott has served as the inaugural dean for institutional equity and inclusion at Luther since August 2017. "I am thrilled that Lisa Scott is assuming this new leadership role at Luther," said President Carlson. "Over the past two years, she has served as a strong, invaluable senior leader at the college. In this new role, Lisa will continue to serve as a key leader in the community's work together to achieve the vision for inclusive excellence and student success the college embraced in our new strategic plan, 'Inspired. Empowered. Engaged.'" A reminder to staff and faculty to visit the Brand Strategy site on KATIE. Individuals will need to self-enroll as students to access slides from recent brand strategy presentations, as well as a form that can be used to submit thoughts and feedback. Please contact <brad.chamberlain> with questions. Friday, March 22: 7:30 a.m.-6:30 p.m.
Saturday-Sunday, March 23-24: 7:30 a.m.-4:30 p.m.
Monday-Friday, March 25-29: 7:30 a.m.-5 p.m.
Saturday, March 30: 7:30 a.m.-4:30p.m. Sunday, March 31: 7:30 a.m.-11 p.m.
Friday, March 22: 7:30 a.m.-5 p.m.
Saturday, March 30: 7:30 a.m.-4:30 p.m.
Sunday, March 30-April 1: 7:30 a.m.-9 p.m.
Friday, March 22: 8:45 a.m.-4:45 p.m.
Monday-Friday, March 25-29: 8:45 a.m.-4:45 p.m.
Friday, March 22: 9:30 a.m.-4:30 p.m.
Monday-Friday, March 25-29: 9:30 a.m.-4:30 p.m.
Friday, March 22: 7 a.m.-5 p.m.
Monday-Friday, March 25-29: 8 a.m.-5 p.m.
Friday, March 22: 6 a.m.-10 p.m.
Saturday, March 23: 8 a.m.-5 p.m.
Sunday, March 24: Noon-6 p.m.
Monday-Friday, March 25-29: 6 a.m. - 8 p.m.
Sunday, March 31: Noon-6 p.m.
Monday, April 1: 6 a.m.-10 p.m.
Friday, March 22: 6 a.m.-7 p.m.
Sunday, March 24: 1 p.m.-4 p.m.
Monday-Friday, March 25-29: 6 a.m.-9 a.m., 11 a.m.-2 p.m., 5 p.m.-7 p.m.
Sunday, March 31: 1 p.m.-4 p.m.
Monday, April 1: 6 a.m.-9 p.m.
Friday, March 22: 6 a.m.-9 a.m., 11 a.m.-1 p.m.
Saturday, March 23: Noon-3 p.m.
Sunday, March 24: 2 p.m.-5 p.m.
Wednesday, March 27: 11 a.m.-1 p.m.
Thursday, March 28: 11 a.m.-1 p.m.
Friday, March 29: 11 a.m.-1 p.m.
Saturday, March 30: Noon-3 p.m.
Sunday, March 31: 2 p.m-5 p.m.
Monday, April 1: 11 a.m.-1 p.m.
ITS will be performing maintenance on Luther's internet connection between 5 p.m.-midnight on Monday, March 25. Internet service on campus will be available during much of this time, but there will be periods of time when it is not available. Updates on the maintenance will be posted to the ITS blog at https://www.luther.edu/its/blog/. Wellness is hosting a new massage therapist on campus for $20/15 minute chair massages, paid by cash, check or card at appointment or booking, from 1-5 p.m. every other Monday this spring, starting March 25. Chair massages can help reduce muscle tension, improve blood flow/circulation, increase energy-improving productivity, decrease anxiety and enhance immune system function. Visit the wellness event calendar for more information and to sign up. Read why religion professor Robert Shedinger researches topics that most people take for granted. Also, learn about his new book that will be released this spring titled, "The Mystery of Evolutionary Mechanisms." Sign up today for the final fitness sessions of 2019 for wellness subsidized employee Yoga and Zumba classes. Details and registration form are available on the online fitness class site. Classes are open to current employees and their spouses. Email <wellness> with questions. Evolution is a "lyrical and imaginative" (The Associated Press) one woman show depicting three members of a family dealing with their youngest daughter's mental illness. Evolution challenges our assumptions about progress and change in ways that are both “hilarious and haunting’ (Backstage). The performance will be in the CFL Main Hall at 7:30 p.m. Saturday, April 6. Tickets are on sale now at the box office or at tickets.luther.edu. On Friday, April 12, Luther is hosting the 15th annual Women, Faith and Finance seminar at the Hotel Winneshiek. Women of all ages are invited to come and learn more about financial management, decluttering/simplifying and volunteering time/talent. Cost is $30—bring a friend, and each save $5. All paid registrants receive a complimentary copy of "A Girl’s Guide to Personal Finance." Register at luther.edu/wff or email <lovellje> for more information. 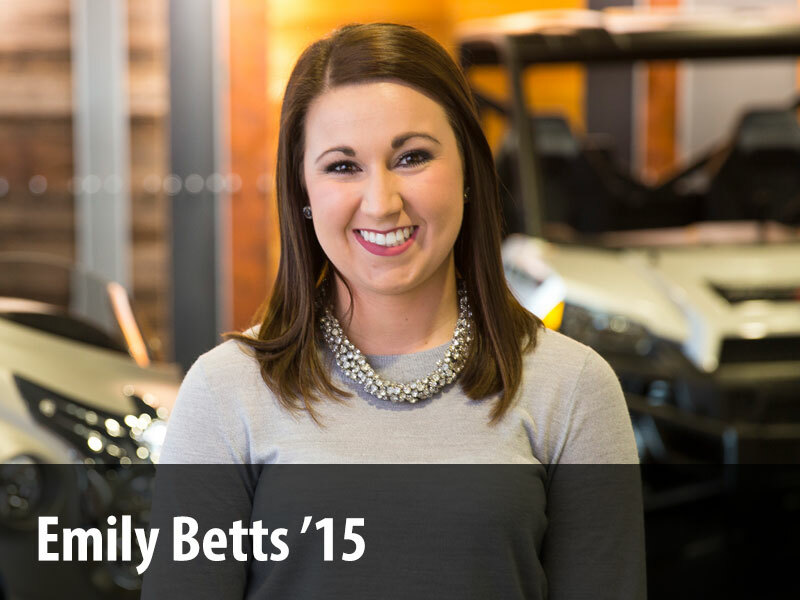 Misty Rathbun started her position as Admissions Communications Assistant on February 21. Her office is Dahl Centennial Union 261A and her phone is 387-1412. Samuel Oyloe started as custodial staff on March 5. His office is in the Regents Center and his phone is 387-2231. Ryan Crabel started his new position as Assistant Football Coach--Offensive Coach and Staff Instructor in HPE on March 11. His office is Regents Center 11E and his phone number is 387-2180. Full-time Associate Director of Music Marketing and Tour Manager: Through choral and instrumental ensemble tours, Christmas at Luther, special music events and recordings, the Associate Director of Music Marketing and Tour Manager utilizes the exceptional quality of the Luther College music program to recruit students and garner visibility for the college. Working with faculty and staff partners, the Associate Director develops and implements strategies that align with the college’s overall marketing goals. A four-year college degree is required. Three to four years of experience in music or arts management preferred. Knowledge of MS Windows and other Microsoft programs, website management and social media platforms is necessary. Martin Klammer spoke on "Luther College Study Away Programs in Southern Africa, 1998-2019" at the ELCA Southern African Regional Gathering in Chicago, March 11. He was joined on a panel of faculty from Concordia-Moorhead, Carthage, and Augsburg's Center for Global Education. Eleven Luther dance students will present three performance works at the American College Dance Association festival, University of Minnesota - Morris, March 20-23. Cory Eull '21, Audrey Farlinger '22, Emmalee Kmoch '19, Keshawn McCain '21, Helen Roets '21, Gracie Rotter '22, Julia Simpson '20, Madeline Skjervold '19, Hannah Slater '22, Haley Steffen '19, and Riley Taylor '22, collaboratively choreographed the performance works with Jane Hawley, Sakchham Karki '21, and Haley Steffen. Steffen will also present, "Western Medicine and Dance: An Integrated Treatment Plan to Better Restore Human Health?" Tiffany Schmidt Ph.D. '06, received the 2019 Pisart Award for Outstanding Achievements in Vision Science Research. Cole Jensen '20, of West Des Moines, Iowa spent January Term of 2019 helping customers to familiarize themselves with technology at Shottenkirk Chevrolet in Waukee, Iowa. James Conway '19, of Mount Horeb, Wisconsin, spent January Term 2019 shadowing at Gundersen Health Clinic in Decorah, Iowa. Ozvaldo Suarez '20, of Dos Palos, California, spent January Term 2019 working as a translator for Xpedition Archery in Decorah, Iowa. Housing wanted: Two soon-to-be graduates are looking at stay in this wonderful town for the next year. Open to house-sitting/sub-leasing/renting/any and all suggestions are welcomed! <dalyni01>. Soccer coach wanted: Waukon Park & Rec Soccer practices will start the last week in March, or the first week in April this year—depending on weather. Games will start the beginning-middle of April on Saturday mornings and will run for five weeks. Last year, practices were held on Monday evenings, but this season's practice schedule can be determined by the incoming coach. For more information, or if interested, contact Kim Kraus at <[email protected]mail.com>. Tomorrow is the spring equinox. It is also the International Day of Happiness. Makes sense.